The Bilstein Sport front struts for the E36 M3 are of the same design as the struts for the regular E36 3-series. 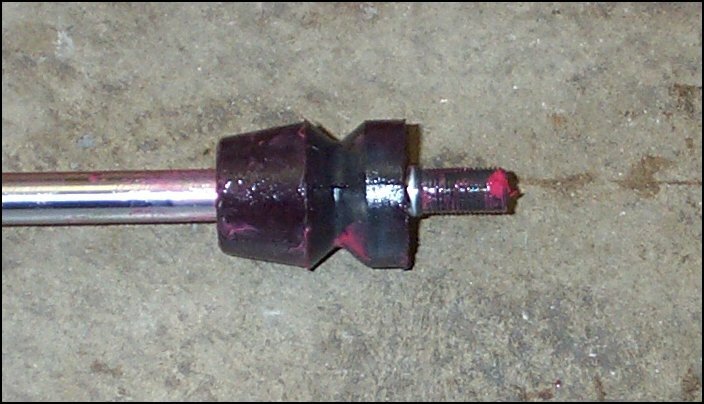 This creates a problem when installed on the M3 (especially when lowered) because the M3 is 1.2 inches (31mm) lower than the regular 3-series from the factory, and the car will practically rest on the strut's internal bumpstops at static ride height when the car is lowered. This situation does not allow for much suspension travel and can cause a harsh and/or bouncy ride on anything other than silky smooth roads. 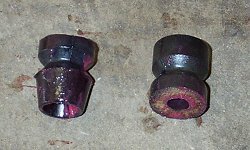 However, these bumpstops can be trimmed before installation to gain the additional suspension travel necessary for the M3. 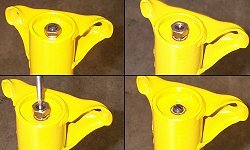 Once the stud has been threaded completely through the casing, the strut's shaft can easily be pulled out. 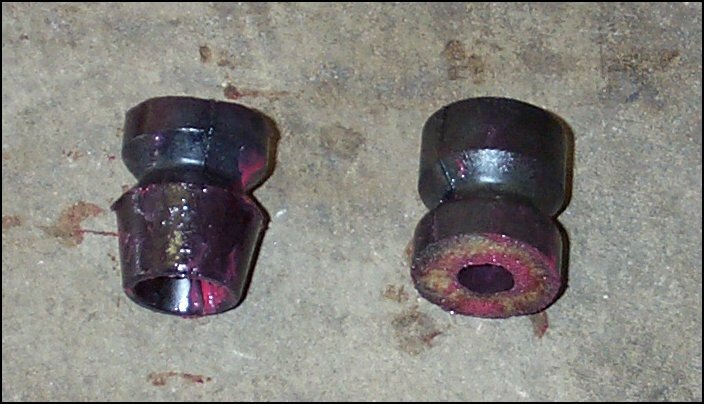 The internal bumpstops can now be removed from bottom of the shaft for trimming. 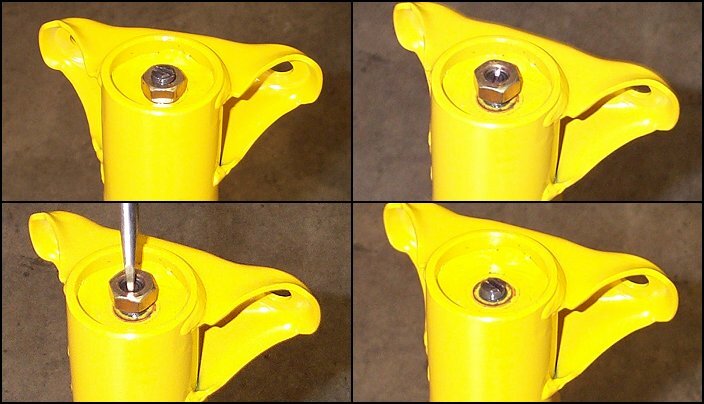 Take care not to scratch or nick the polished shaft of the strut while it is exposed. The internal bumpstops are made of soft foam rubber and are approximately 3 inches long. The bumpstops are easily cut in half to correspond with the lower ride height of the M3. It has been rumored (but not confirmed) that this procedure will not void Bilstein's lifetime warranty. It has also been rumored that Bilstein has recently designed a new shorter bumpstop for these struts. 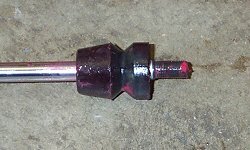 The top half of the bumpstop (progressive absortion end) is slipped back onto the bottom of the strut shaft. The shaft can now be reinstalled into the casing. Reassembly is reverse of disassembly. 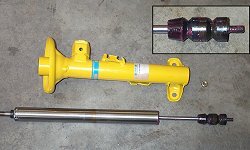 UPDATE: In mid-2003, Bilstein recalled all the E36 M3 front struts that were left in their dealer's stock as they were doing a "design change", so it is possible (but not an absolute fact) that future Bilstein Sport front struts for the E36 M3 will not have to have their bumpstops trimmed for a more comfortable ride.